Help Us Win - Vote for the BEST OF FORSYTH 2015! The "real" election may be over, but the BEST OF FORSYTH 2015 voting is just ramping up! Vote up to ONCE PER DAY in the more than 200 categories through November 19! 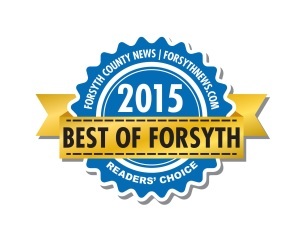 Your votes will name BEST OF FORSYTH 2015! More than 35,000 votes have already been cast. A lot of effort is being put when it comes to the health care of our elderly or adults needing special care in our society; this form of care is mainly expressed in form of love and medication which is quite essential in ensuring a healthy life style among these people. The easiest way to achieve this is through an adult day program which provides all these qualities efficiently at of course a fee.